Mahesh Babu's Srimanthudu will to be dubbed in Tamil as Selvanthan. Tollwood star Mahesh Babu was in Chennai yesterday to launch the audio of his film, Selvanthan. He said, 'It is a family drama. We have touched upon a number of emotional flash points that the Tamil audiences will definitely relate to. The film also features a number of familiar Tamil faces and it has been shot in several places in Tamil Nadu. We hope it will work'. Interestingly the actor has expressed his desire to do a direct Tamil movie soon. When a reporter asked which of the Tamil actors he would like to share the screen space with, Mahesh Babu said that it would be Ilayathalapathy Vijay. Incidentally, both of them have starred in the remakes of each other’s films previously. 'My next film, Brahmotsavam, will have a Tamil release. I am planning to speak Tamil myself', he said. 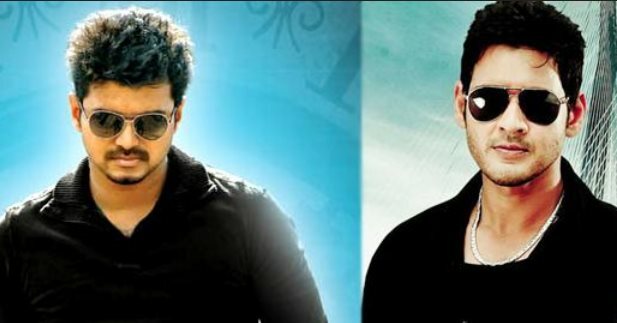 It is to be noted that Vijay's Ghilli and Pokkiri and remake of Mahesh Babu's Okkadu and Pokiri in Tollywood. Though Mahesh Babu gave some decent hits after that, Vijay or no other leading heroes were interested in remaking his movies. Possible reason why Mahesh Babu decided to release Srimanthudu in a dubbed version.